Ethnos Magazine is published by Ethnos Canada and made available in New Zealand. It is issued four times each year. Sign up below for your free subscription. 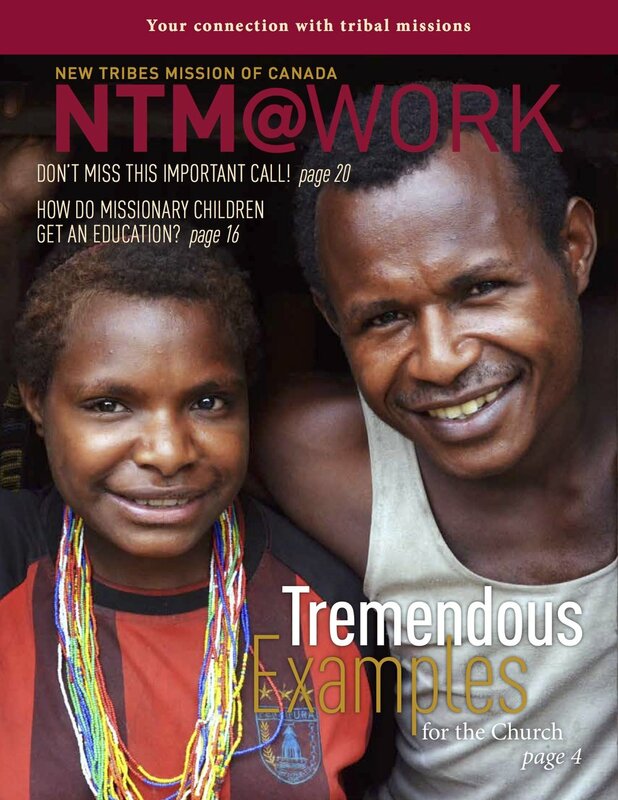 For over 20 years, representatives from this people group of more than 6,000 have been asking missionaries to bring them “God’s Talk.” Until now, they have remained cut off with neither gospel message nor Bible in their own language. As a church grows and matures to become a thriving church, the development of leadership becomes an integral part of that growth. 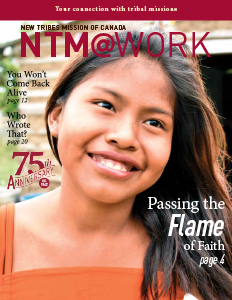 This issue looks at how faithful men and women are tapped for leadership in a people group in the Philippines. Read how the disciples become the disciplers, and how they push at the edge of their church, reaching out to neighbouring people groups. Underneath the palm frond canopy of the church roof sat elders and deacons representing 24 churches and three teams of missionaries. The 50 men filled the church, its half-height walls permitting the early morning light to illuminate their faces. Each face told a story. Would you give up if the spiritual seed you planted didn’t yield fruit for a long time? Over the past 75 years, the Ayoré people group has grown to embrace the Word of God and the saving work of Jesus Christ. The Ayoré church continues increasing in their faith, strengthening their communities and now sending out their own missionaries. The Moi presented huge challenges. But God used the humility and perseverance of the missionary team, and last year, elders were appointed. 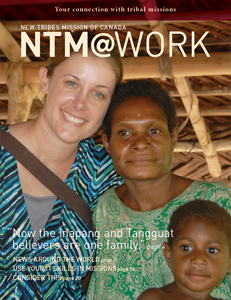 "now the inapang and tangguat believers are one family"
God works through lives that are yielded to Him. Missionaries were willing to take the “back seat” and partner with the Inapang believers. The Inapang believers were willing to step outside their comfort zone and take the gospel beyond their borders. The result was the Tangguat church. What do you do when God nudges you to step out in faith? The story of Amelia’s journey to say, “Yes, Lord” will touch your heart. Think more about how you respond to God in our “Consider This” article. And the Editor’s letter in this issue tells you why we’re excited about Amelia’s story. In the face of massive needs, what can you do? Where do you start? One man did what he could – and trusted God for the rest. What kind of people translate the Bible? Why do they do it? What’s it like? 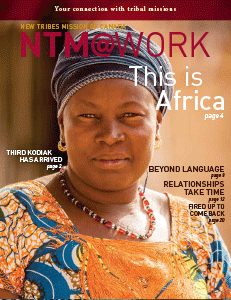 Could you join the team as a Bible translator? The answers may surprise you. Dreams often die when the original dreamer dies. The fire, zeal and passion that ignited their vision, and also fueled others to participate, can die right along with them. Not so with the original vision of NTM. Seventy-one years later, the dream is still alive. But so is the enemy. Sometimes tribal peoples’ hearts seem as dry and dusty as the landscape. Ministry can become a discouraging, daily grind. But as Leah Humphreys discovered, giving up would mean missing out. 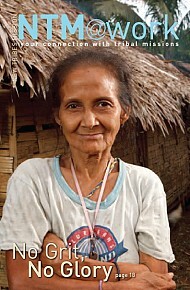 For many years, the Dinangat people watched and heard about missionaries coming to other tribes. They saw the changes. They knew God’s Word had something to do with it. But no one ever came to the Dinangat village. Had they been forgotten? Would they ever know the truth? How could they get out of this darkness? Then one day, the answers came.